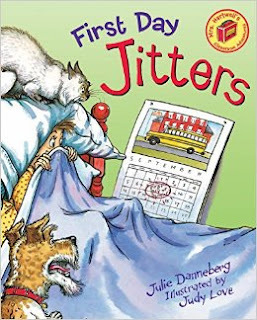 Do you know Julie Danneberg's beginning of school year book, First Day Jitters? It's probably one of your favorites, I know it's mine. Well, did you know she's got a just as adorable end of the year book too? I know, right?!?! 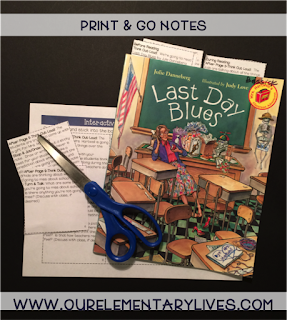 It's called Last Day Blues and it is just about the cutest end of year book there is. 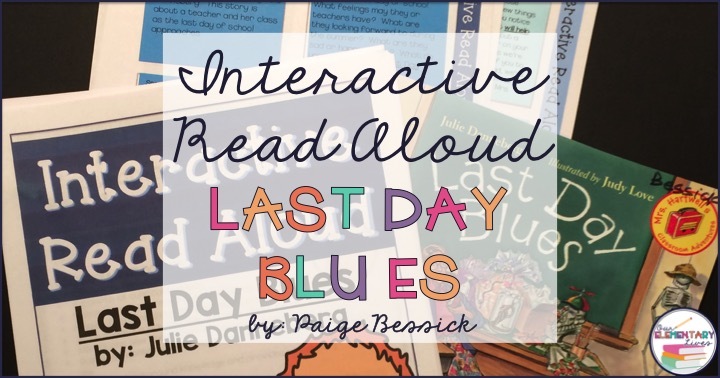 I have created an Interactive Read Aloud for that book and I am so excited about it! 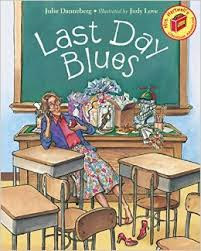 This book is just the cutest and if you like First Day Jitters, this book, Last Day Blues will soon become your favorite end of the year book. Click on book images to buy with my Amazon affiliate link. 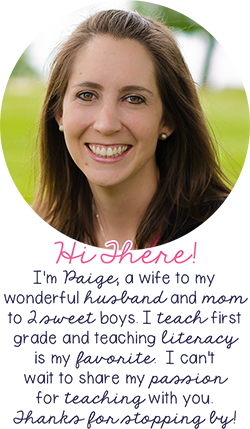 Mrs. Hartwell is back in this book as the end of the year draws near. Her students want to give her a gift as they believe she is going to be so sad when school is over. 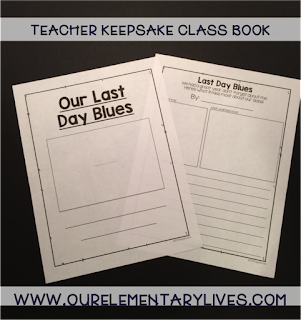 As she's dreaming of summer adventures, her class comes up with the perfect gift. Even though it's the end of the year, it's still a great time to keep you kids thinking and discussing books. 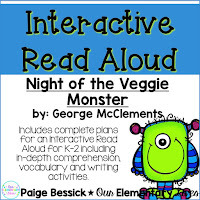 You can click HERE or on the image below to see this resource. 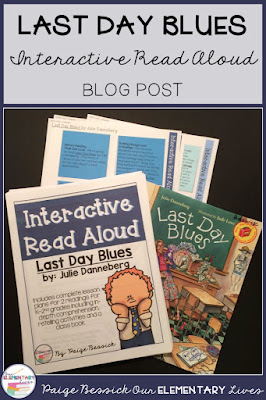 Just like all of my interactive read aloud resources, this one includes all of the same components. 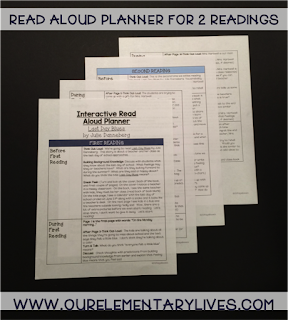 This planner tells you everything you need to know about the interactive read aloud. 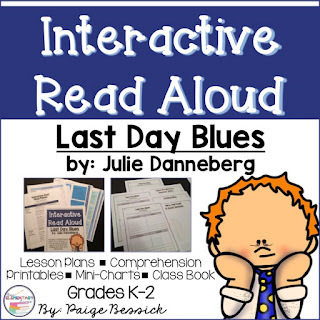 It tells you which pages to stop, what to ask for in-depth comprehension and the type of class response (turn and talk, stop and jot/draw, act it out, etc.). It's a great overview of each reading of the book. The sticky notes are my favorite part. I love printing the notes from the planner onto these sticky notes and sticking them on the page where you are to stop and interact with the book. 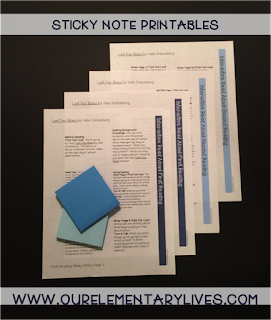 Not sure how to print on sticky notes? No worries, I've got you covered. Check out this blog post HERE! 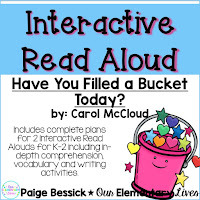 Also included in every interactive read aloud resource are retelling worksheets that can be used for assessment and a connecting worksheet where kids are asked: "What does this make you think about?" Rather than asking them a specific question, they can make connections and write about them. 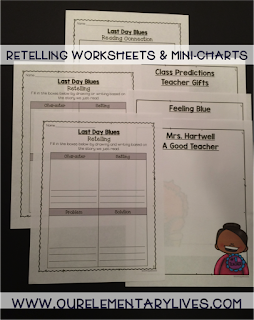 There are also some mini-charts that will help you keep track of some predictions and stop and jot/draw sticky notes from the kids and a place to collect students' thoughts about Mrs. Hartwell, an end of the book reading activity. I am so excited about this! Each student can create a page with their self-portrait and write about all of the things they are going to miss from this year in your class. I can't wait to make it with my class. I'll have a reminder of the kids in my class, an adorable self-drawn portrait and a writing of some of the things they're going to miss. Each year I'll make it and have this adorable keepsake. I wish I would have started this 11 years ago when I first started teaching. The cover has a place for a class picture, your class name and the year. I am so excited about this resource and I can't wait to use it. I will definitely update this post once I use it with my class. That class book is going to be totally adorable! Do you know this book? If so, let me know in the comments and tell me what activities you like to do with it. If not, I hope you can add this to your end of the year collection. 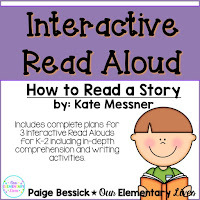 Want more information about Interactive Read Alouds? Check out THIS resource! Want more resources like this? Click HERE or on any of the images below.